Our product range includes a wide range of organic cold pressed black seed oil, diabetes kalonji oil, nigella sativa black seed oil, 100% organic black seed oil, usda organic black cumin seed oil and organic nigella sativa oil. We feel proud to introduce ourselves as the leading organization in this domain, engaged in presenting an excellent grade of Cold Pressed Black Seed Oil. In our country, It is known by the name Kalonji. The offered Cold Pressed Black Seed Oil for Immune Booster has high medicinal value due to its supreme effectively. It has been proven that using Cold Pressed Black Seed Oil for Immune Booster in daily chores help in the treatment of respiratory health, stomach and intestinal health, kidney and liver function, circulatory and immune system support, as analgesic, anti-inflammatory, anti allergic, antioxidant, anti-cancer, antiviral, immune boost, diabetes cure and for general well-being. It is available in bulk at cost effective rates. Our Kalonji Oil is derived from cold-pressing Organic Nigella Sativa seeds. The cold-pressed method of deriving Kalonji Oil ensures that the chemical properties of the Black Seed are retained. With the comprehensive industry knowledge of the allied domain, we are engaged in presenting a superior quality range of Nigella Sativa Black Seed Oil. It has been proven that using Nigella Sativa oil in daily aid in the treatment of cancer and related issues. 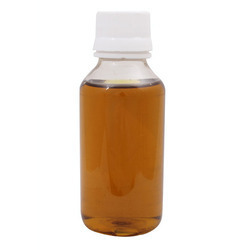 Our professionals bring forth an excellent range of Nigella Sativa oil processed using premium quality 100% raw Black seeds and latest techniques at our production unit. It is made available in bulk at cost effective rates. 100% Organic Black Seed Oil contains one of the rare essential fatty acids (omega 3) in fair amounts it makes it nutritionally very valuable. It may also be used in natural cosmetic formulations. 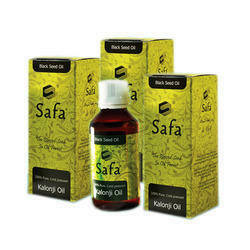 Safa Honey Co. is able to guarantee that its premium Black Seed Oil is 100% pure and natural. 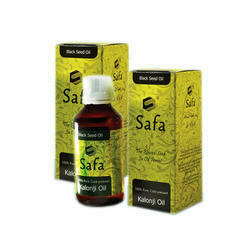 Safa Black Seed Oil contains No Additives, No Preservatives, No Artificial Flavourings and No Artificial Colourings. We guarantee our Black Seed Oil 100% pure worldwide. 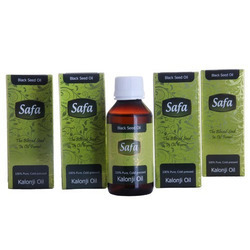 Kalonji oil is made from truly a remarkable herb called Nigella sativa, popularly known as Kalonji or Black seed. Kalonji is known around the world by many names because of its ancient popular history and medicinal value viz: black cara- way, roman coriander, carvi (French), schwarzkummel (German), kalonji (Hindi/Urdu), kezah(Hebrew), chernushka (Russian), corek-otu(Turkish), habbatalbarakah or habbatus-sauda (Arabic), siyah daneh (Persian) etc. In Islam, it is regarded as one of the greatest forms of healing medicine available. According to tradition, the Prophet Muhammad (Sallallahu Alaihi wa Sallam) described black seed as a cure for every disease except death. Chemical analysis of fatty & essential oil of the Black seeds have revealed a wide and diverse variety of chemical constituents such as, Omega 3 Fatty Acids, Essential Oils, Proteins, Minerals, Vitamins, etc. 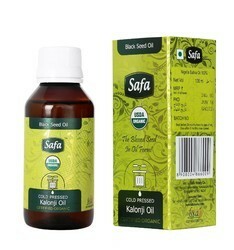 Kalonji oil is preferred over seeds as it is 35 to 50% more potent and convenient to use. Being powerful enough to be applied at a practitioner’s level, yet safe enough to be used as a household remedy. The normal application is 2 teaspoons of oil daily. wheat flour that you use to make roti. Insha’ Allah, you will remain healthy. General Weekness: Take half tea spoon of Kalonji oil with one spoon of honey once a day. Sluggishness And Laziness: A tablespoon of Kalonji oil with orange juice in the morning for ten days. Insomania: A teaspoon of Kalonji oil with honey or with tea before supper offers relief from insomnia and a restful sleep. Nervous Tension: A teaspoon of Kalonji oil with a cup of tea relaxes and eliminates all symptoms of tension. Obesity: Mix 2 spoons of honey and ½ teaspoon of Kalonji oil in lukewarm water and drink twice a day. Avoid eating rice. Reducing Cholestrol: Add seven drops of Kalonji oil in mint brew and sweeten with honey. Drink while hot on an empty stomach once a day, avoid food with beef fat. butter or 50 gms milk fat, add some sugar and drink every morning. daily. Eat small pieces of cinnamon 3-4 times daily, chewing it well. Injuries: Mix a teaspoon of Kalonji oil with a tablespoon of honey in a glass of hot tea and drink on an empty stomach and before sleep. Also rub Kalonji oil on the affected part three times. Burns: 30 grams of Olive oil and 5 grams of Kalonji oil, 15 grams of Calamus (bach) and 80 grams of Mehendi leaves. Mix together and apply on affected parts. and keep it on the tongue twice a day. Hiccups: Take a large spoon of cream (Malai) mixed with 2 drops of Kalonji oil and drink in the morning and night. Continue for seven days. 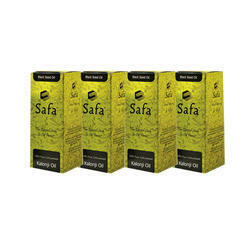 Cold pressed from organic Indian grown black seeds, Safa black seed oil is unrefined, specifically for Omega 3 and allowing it to retain all its natural greenish yellow color, spicy aroma, and full nutrition. This premium oil is naturally a rich source of Omega 3 with a lovely spicy taste, it offers many nutritional benefits for good health. Mix into honey, milk, juice or a hot drink or use in your everyday cooking. Perfect for increasing your daily intake of essential fatty acids, it may also be used in natural cosmetic formulations. Black seed oil is the blessed oil and can be used as a go-to treatment for almost any ailment, small or serious. Black seed oil has been proven to help treat the following problems: headaches, toothaches, nasal congestion, colds and flu, digestive and gastrointestinal problems, hair and skin problems, allergies, diabetes, insomnia. 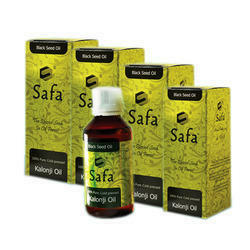 Supreme quality Black Seed Oil pressed from Organic Black seeds ( Kalonji/ Nigella Sativa). Looking for Black Seed Oil ?